How Profitable The Mobile Gaming Industry Is? How to Download Android OS for PC and Install it on Your Computer? MBOX to PST Converter is a wholesome tool which assures perfection as claimed by the equally efficient brand name SysTools. 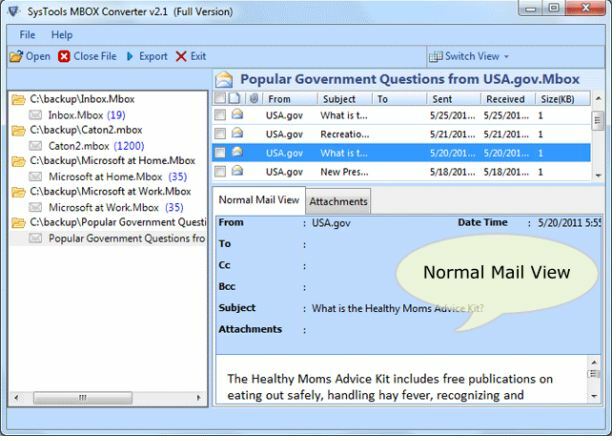 Software is perfect for all Apple Mail, Opera Mail, SpiceBird, SeaMonkey, Eudora, Evolution, Thunderbird, and Mozilla Mail users who want a switch from these email platforms and want to shift to MS Outlook. Software is easy to use and will not bother you for any technicalities as the interface is fully graphical and needs no commands or anything which is beyond our knowledge. MBOX data to PST migration. 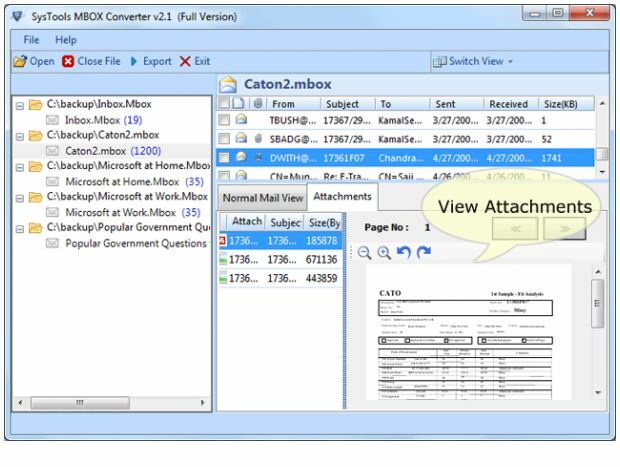 The basic function of the conversion is superbly handled by the program which thoroughly migrates all the email data present in MBOX file along with attachments maintain formatting and technical properties. There is no data loss or data alteration, no mismanagement, no folder mixing, and the process is very smooth. 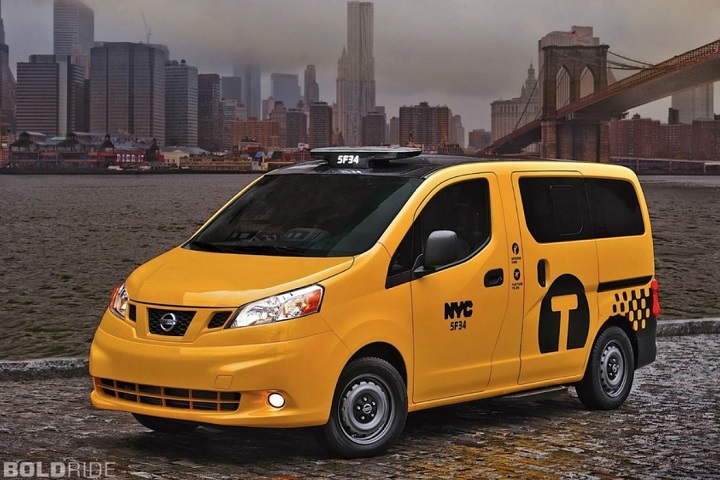 Of course it is a time saver and cost effective tool as it comes in very affordable pricing. I worked on the software and thus mentioning the step-wise working along with the features included. Open the software and go to “Open” option. 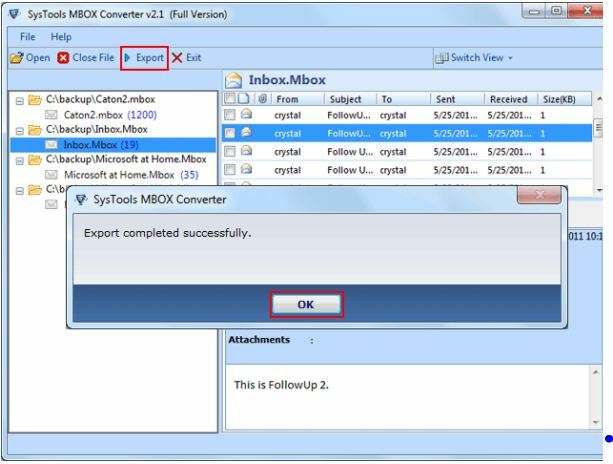 This option will help you to add the MBOX files which you want to convert to MS Outlook PST file. After adding the file (I tried single MBOX file) it will be scanned thoroughly showing you the processing with details like file location, size, and date of creation. In case you want to stop the process in between you can also “Stop” the process. As soon as the file is loaded on the program it will show all the files loaded ion the left pane. When you will select a particular file like here I have added single file only one file (INBOX) is visible. When you select this particular file complete preview is shown on right pane. In case you want to preview any particular email then this software also does that. Just go to that particular email and below you will see a Normal Mail View and Attachment view. Former shows only email data and latter shows the attachments full view. 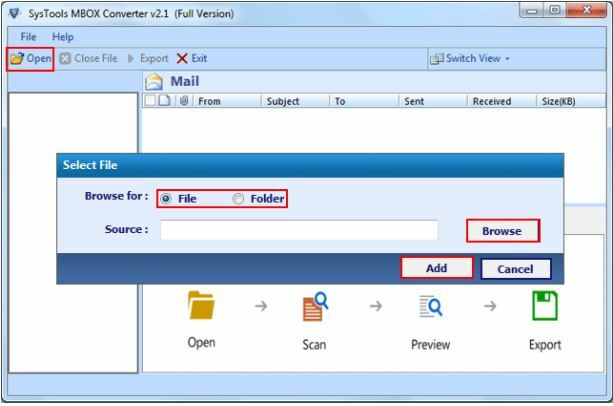 Now select the items which you want to export to the new PST file and MBOX to PST converter will convert the selected data from MBOX to .pst file and hit the Export option. 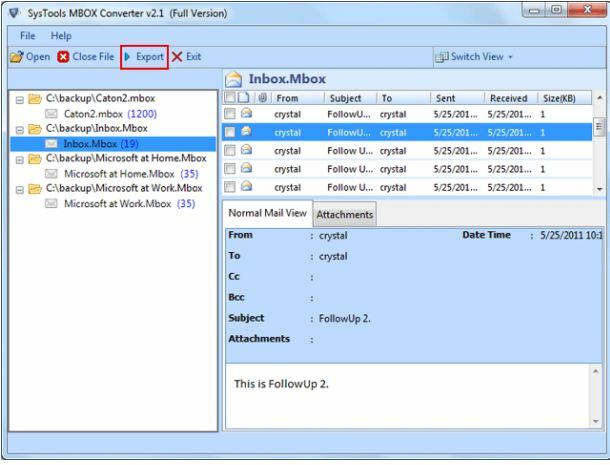 Here choose the file format to which you want to convert the MBOX email data. PST is for MS Outlook Users. EML and MSG options are also available which can be chosen if you have pertaining email client like Eudora, Apple Mail, etc. I chose PST. You will notice that software has one more smart option to either save each MBOX file separately in different files or create single PST for all the MBOX files. You can choose any option as per your need. You can provide the destination path where the new PST file will be saved through the Browse option right below the Export Options. 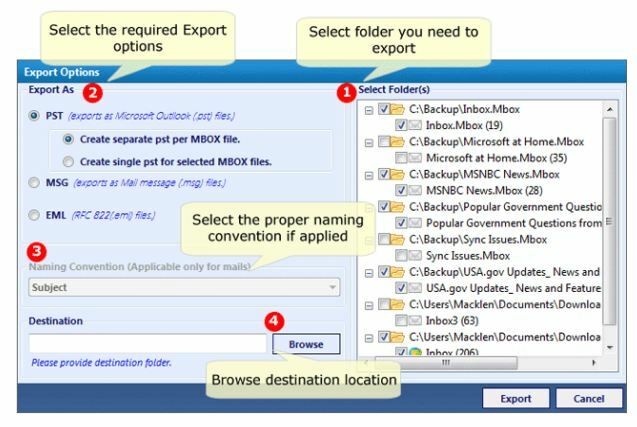 Don’t forget to select the folders which you want to export and then hit Export option. The processing is very fast as comparison with any other software but it can be little time consuming if the MBOX files are more in number and large in size. 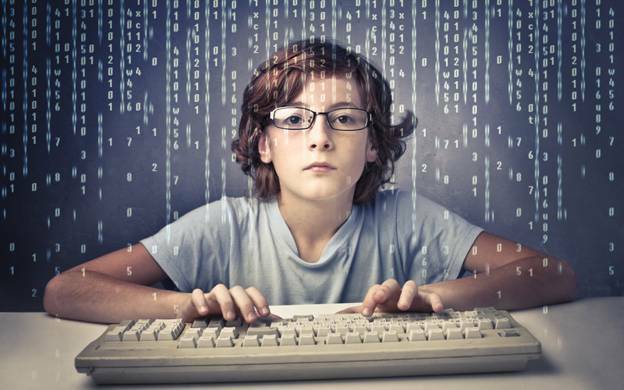 A status report is also generated which can be saved as a CSV file. However this is not that relevant as it only contains the path of newly generated PST file. Overall working and speed of the tool is commendable. Of course this tool is not for you if you were looking for some free utility. But in case your MBOX file data is worth to invest money then this tool is most desirable and beneficial for you. Software will not work for damaged MBOX file and thus lags a single point but it handles the conversion of MBOX to PST so well that this factor can be completely ignored. 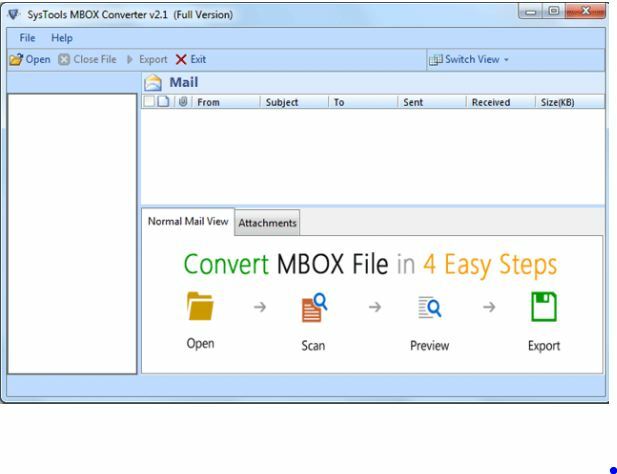 Software can be easily used for professional usage as well; it is not so expensive and not even hard to work on and follows batch MBOX conversion which must be the most highlighted feature for MBOX to PST Converter. Software also has a demo version which is free to download you can practically check for yourself for the tool’s performance. It is available on the website with a name MBOX CONVERTER.